Elliott Abrams began a conversation by asking what has caused American Jews to distance themselves from Israel and finding the main cause to be the 50-to-60 percent rate of Jewish intermarriage with non-Jews. Martin Kramer then added a second factor: the changing balance of power between American and Israeli Jews. "When the state of Israel was established in 1948, there were six million American Jews and 700,000 Israelis: a proportion of nine to one. ... today, the ratio of American to Israeli Jews is one-to-one—about six million in each country. In another twenty years, there will be well over eight million Jews in Israel, and probably fewer than six million in America." Nor are numbers the whole story: "these Israelis are economically prosperous and militarily powerful" even as "Jewish political clout" erodes in the United States. As a result, Israelis pay less attention to American Jewish opinion, which in turn leads to American Jewish alienation. Jewish support for Israel has weakened primarily because Jews are solidly on the liberal-left of the political spectrum (these days symbolized by Bernie Sanders), the side most critical of Israel. 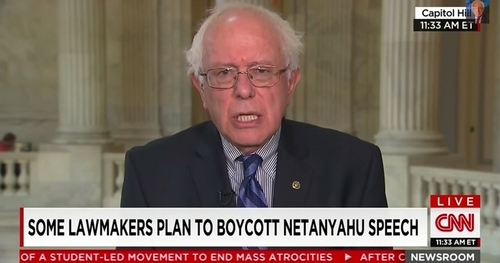 Sen. Bernie Sanders has long been critical of Israel. From Israel's point of view, the fact that American Jews are losing their ardor for Israel is a distinct loss. But it is made up for by American conservative support for the Jewish state. The conservative-moderate-liberal spectrum of opinion is consistent in poll after poll (I have collected a decade's worth of them here) and it shows large and growing conservative support for Israel. For example, the Gallup poll in February 2016 found Republicans favoring Israel over the Palestinians by 79 percent to 7 percent, or a margin of over 11-to1. With such political backing, Jews have lost their primacy in pushing the U.S. government to a favorable policy toward Israel. To be sure, this support could one day erode too but it looks solid for now, being a core issue of the conservative outlook. As one proof, note how a Republican politician (Charles Boustany) who associated with J Street felt compelled publicly to apologize for this step ("I had been deliberately misled"). Cong. 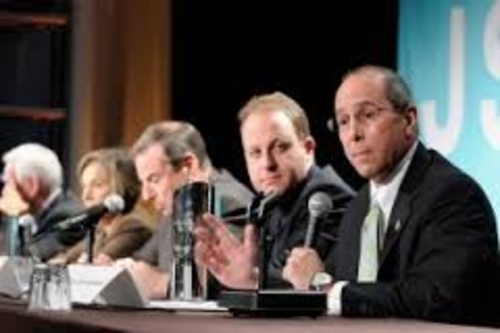 Charles Boustany (on the right) at a J Street conference in 2009. Conservative support includes self-professed Christian Zionists, of course, but it also comprises many others (such as defense hawks or those worried about Islamism) who do not have a religious outlook. Christian Zionists make up just a portion of conservative support for Israel. Mathematically, is it better to have the near-unanimous support of Jews, who make up 1.8 percent of the U.S. population, or the very substantial support of the 38 percent who are conservative? To ask that question is to answer it. That said, this change does have disadvantages for Israel: For one, conservatives tend to know less about Israel. For another, Israel has become a partisan issue. These subtleties aside, it remains true that as Jewish support weakens, conservative backing has moved in to take its place. The focus on Jewish opinion, therefore, has less salience than it once did. Conservatives, now the Zionist bulwark, deserve that attention and solicitude.